Projekte und Veranschtaltungen - 1519859846s Webseite! We are looking for 1 volunteer from Germany to give us a hand organising linguistic tandems, talks in high schools, cultural activities, concerts and all the international projects Xeración is developing. We can offer you a full immersion in the Galician culture while you improve in a practical way linguistic, cultural and project management skills that will help you to integrate into the labour market at the end of the project. The project will take place in Ferrol-Narón, a metropolitan area of almost 120K inhabitants, located in the northwest of Spain. The city is located in the coast not far from A Coruña or Santiago de Compostela. We believe in the importance of your self development. That’s why we offer you the possibility and support to implement your own ideas, not just to take a part on existing projects. In this way ESC could become a more personal enriching experience. Let's track down universal traits of migration processes and put them in a historical, contemporary and futuristic contexts. Let's live it through together. developing the innovative learning agenda for the topic of migration, based on outdoor activities and simulation games. The type of LARP we plan to use is "nordic" style - immerse LARP, in which players not only play their characters, but become them - loose themselves in new characters for short time. For this we need the out of this world environment in which we can forget about the presence and extraordinary dresscode. Participants - in age of 18-24 (fewer opportunities). day, activity cost and travel up until the limit is provided from the Erasmus+ KA1 programme. 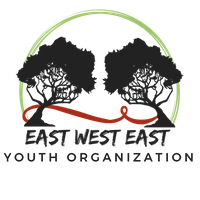 All activities will take place in the outskirts of Kraków: Harcerski Ośrodek Wypoczynkowy "Korzkiew"
Youth Exchange 2 - 21.09 - 28.09.2019 - 5 participants + 1 leader.